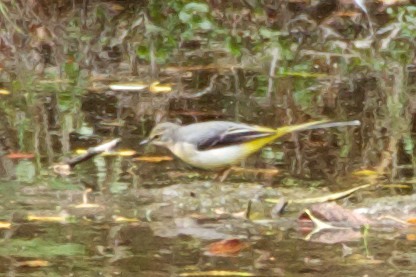 Here is a Grey wagtail picking through the mud on the edge of the spit when the water level was very low ten days ago (it’s since shot back up). It’s the first time I’ve seen one on the reserve. Not to be confused with the Yellow wagtail, which is much yellower than this!